Need to do more analysis on your team's working hours? Administrators can download Timesheets entries in the mHelpDesk web app. Downloads are done in the CSV format, which stands for "comma separated values". CSVs can be uploaded to Excel, Google Sheets, and many other common applications including some payroll systems. 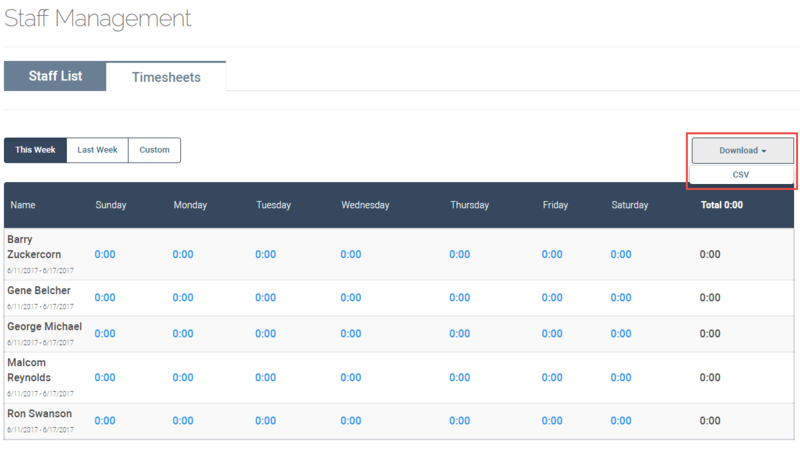 Summary file, which contains hours totals for each employee for each day displayed when the Download button was clicked. Detail file, which contains the all of the clock in and clock out records for the each employee for each day displayed when the Download button was clicked. The detail records include the location information captured on the clock in/out entry.